...don't read the Billings Gazette. About once every week I check out newspapers in other cities. 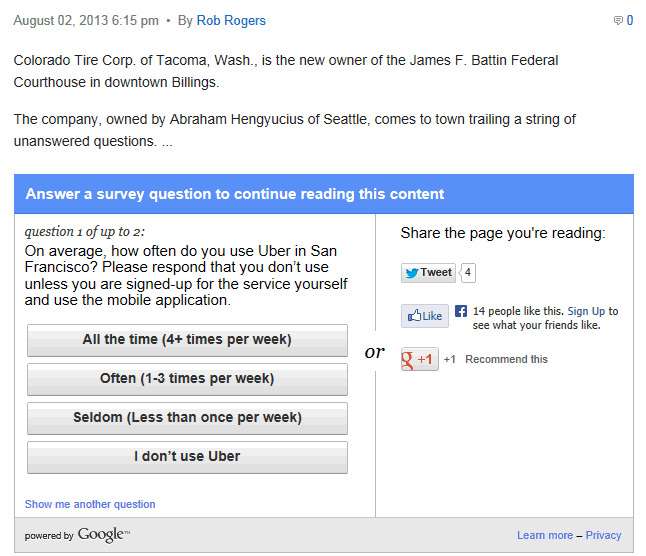 Today I went to the Billings Gazette and clicked on a link. I got the first couple of sentences followed by a survey question I was required to answer in order to read the entire article. 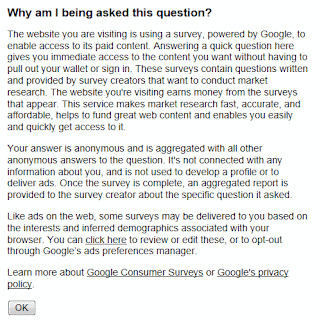 I clicked the "Learn more" link and learned about the market research being done and how I'm being saved the hassle of paying for the content. 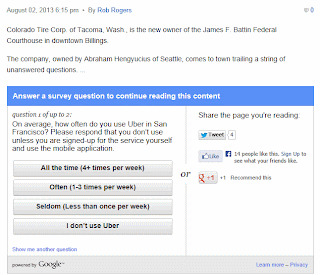 I wonder who thought it was a good idea to force readers to answer a survey question, especially since the question concerned using something called Uber (a ride sharing app) in San Francisco. I clicked the "Show me another question" link and was asked how many times I used Lyft (another ride sharing app) in San Francisco. I clicked again and it went back to the Uber question. Two points to consider here. First, I had no idea that everyone in Billings, Montana traveled to San Francisco. 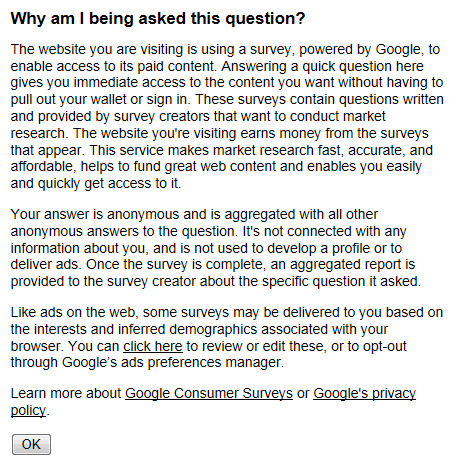 And second, we all know how reliable online surveys are.